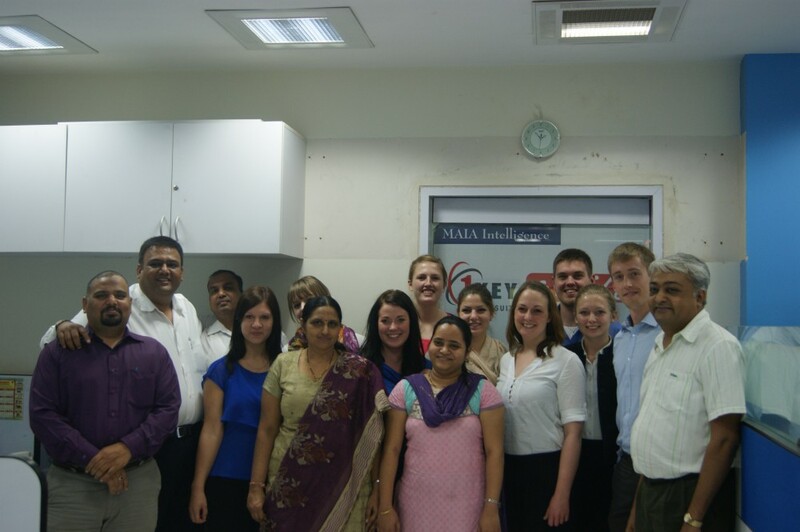 We were so lucky that the CEO of MAIA Intelligence, Sanjay Mehta could find time to see us. He and, Leena Kohle he technical genius, had made a really exiting and very relevant presentation of their software company and their products for us. Not only were we greeted by Sanjay and Jigisha, but the entire office was very friendly and forthcoming. One of the founders, Jigisha Sanghvi, had prepared a big lunch for us and was so nice as to show us how Indian food should be eaten and in what order. This visit was very inspiring to all of us. MAIA Intelligence foresees “In-memory” data analytics. One of the more important things Sanjay told us was that technology is moving fast. What we read about Data Warehousing is soon outdated. The future entails Time series databases. With MAIA Intelligence 1key products, it is easy to play around with the data using Drag’n’drop. The slicing and dicing is done when the questions arise. The structure isn’t predefined, because it can be done in memory. Sanjay made several valid points for why Business Intelligence (BI) is becoming increasingly important to use. Once the processes where important but now it’s about making fast, trustworthy decisions. The BI tools should be a compass and the people should make sure to get the company in the right direction. Using BI is a simpler way of supporting all levels of the company to make better decisions.